While perusing market for the past couple of days, one item I found I was continually attracted to was a small side or drinks table. Available in a wide variety of sizes, shapes and materials, they are a useful addition easy to move from room to room depending on the occasion. Taking a quick look, here are several that caught my eye. Laura Kirar’s Gandt (as in gin and tonic) table at Baker had an elegant Nick and Nora feel that covers the popular resurgence of brass with that necessary pop of black that benefits every room. Thomas Pheasant had several small tables at Baker that fit the bill. 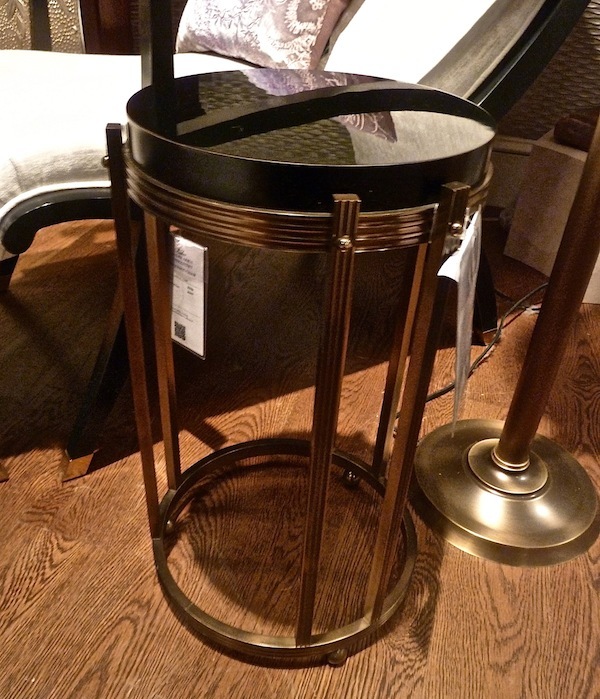 This Radiant Drum Table, which is also available in a gold finish, is simple and elegant with a touch of texture. 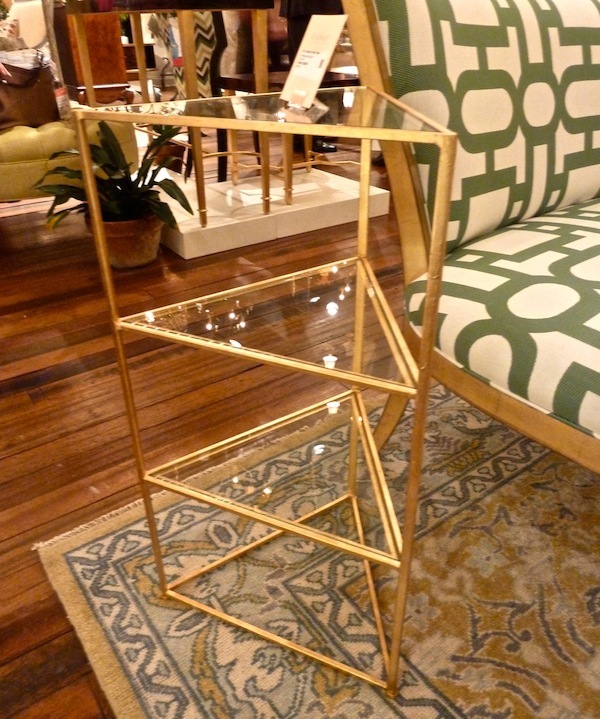 And his very graphic Stack Cocktail Table is an easy way to add some glamorous geometric elements without adding bulk. One of my favorite new introductions was Bernhardt‘s Brielle series. 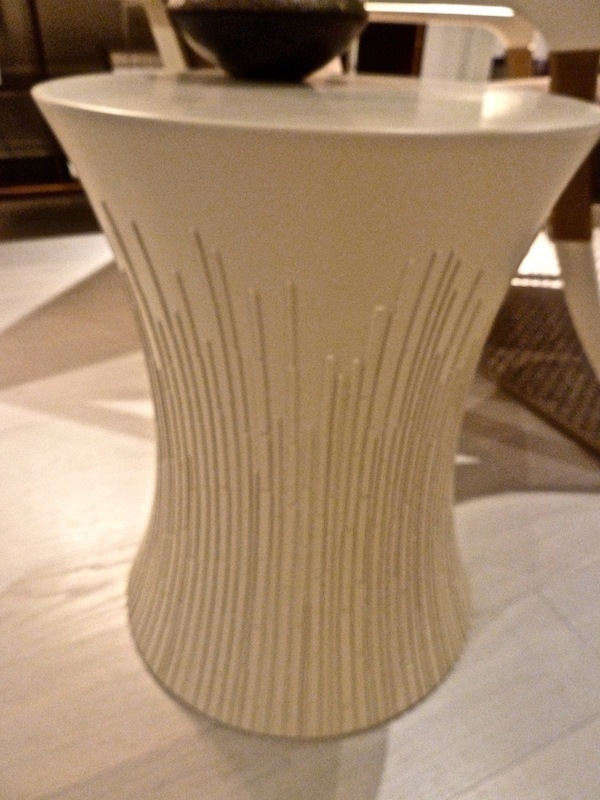 A super sophisticated statement, this cocktail table in a smart ivory lacquer is a stunner. 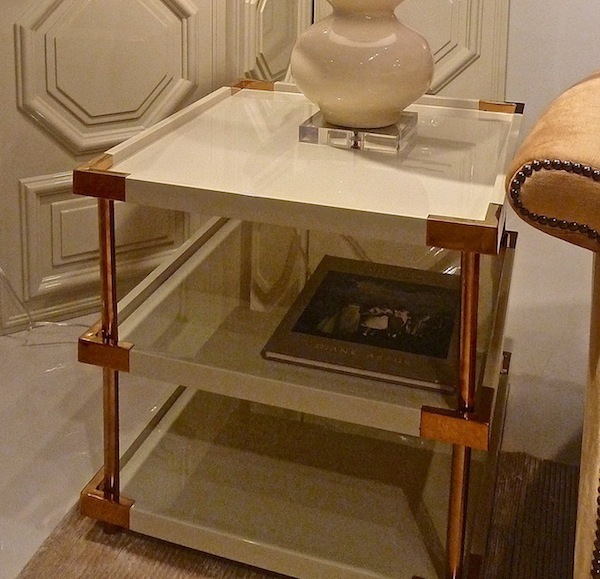 Another handy side table from Bernhardt is this Salon hinged lift-top, with secret storage for cards, books or address book in the top compartment. Currey‘s new gold Delano collection was another favorite. 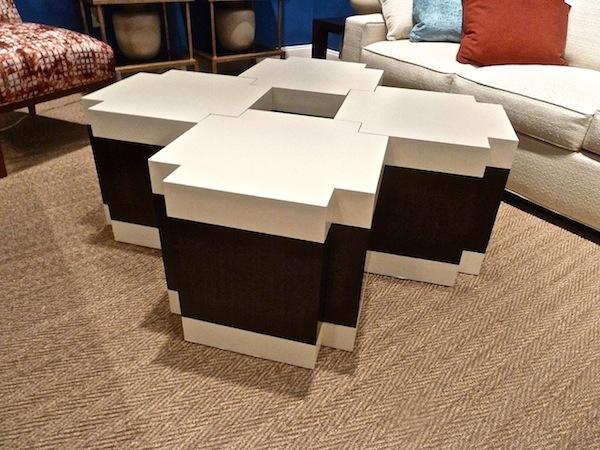 This chic corner table is a unique shape yet still light enough not to take up much visual space. What a clever configuration at Pearson! Whether used separately or combined together in an assortment of puzzle shapes, these wood and leather bunching tables have strong architectonic appeal! 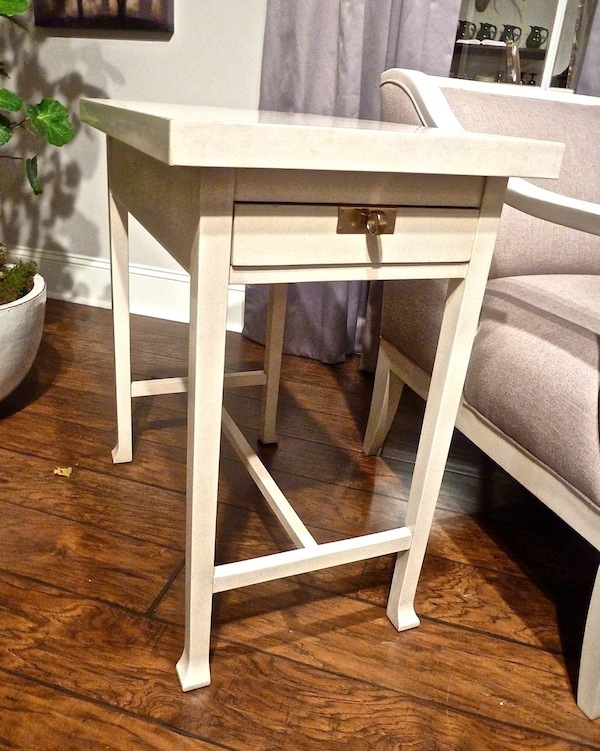 If you’re looking for a versatile classic, the Banyon lamp table from Thomasville might just fit the bill. While Visual Comfort is primarily a lighting source, they also have a few items in other categories including these stylish Studio Newton Tables available in two different finishes. 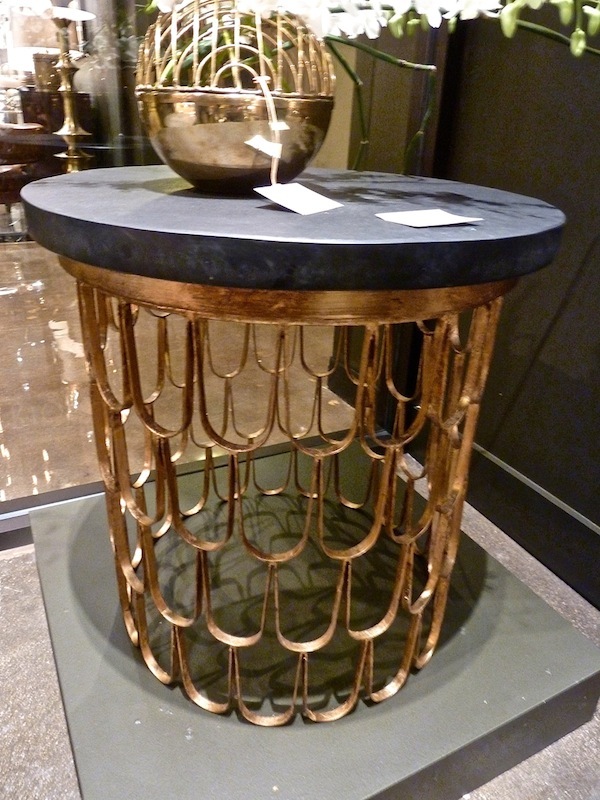 Arteriors always features quite a few small tables and I loved the combination of materials, textures and pattern in this gold leaf iron and marble table. 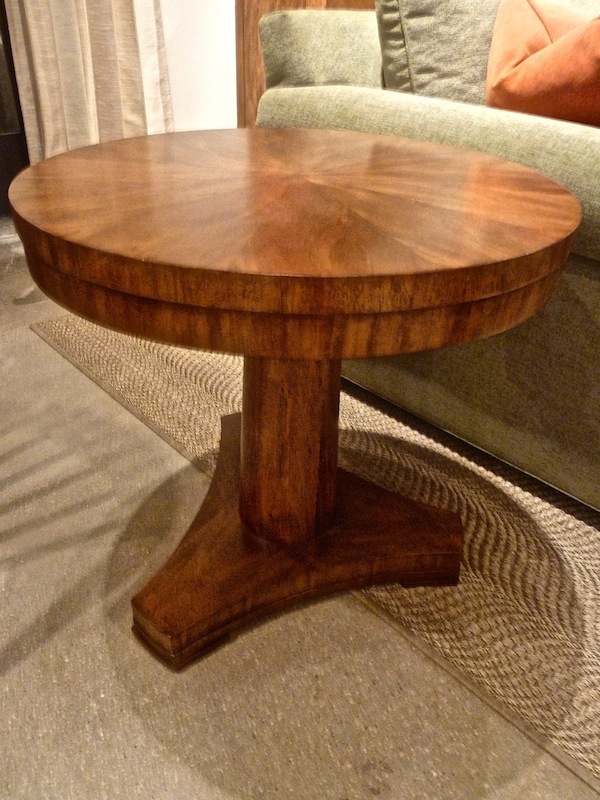 And lastly, this charming Barbara Barry table for Henredon could find a comfortable place in many convenient spots in the house! Check back soon for more finds from the fashionable High Point market. This entry posted in furniture. Entry Tags: Furniture, High Point Market, interior design Bookmark the permalink. love a good side table, cocktail table or nightstand. great fun all these designs. thanks for sharing! 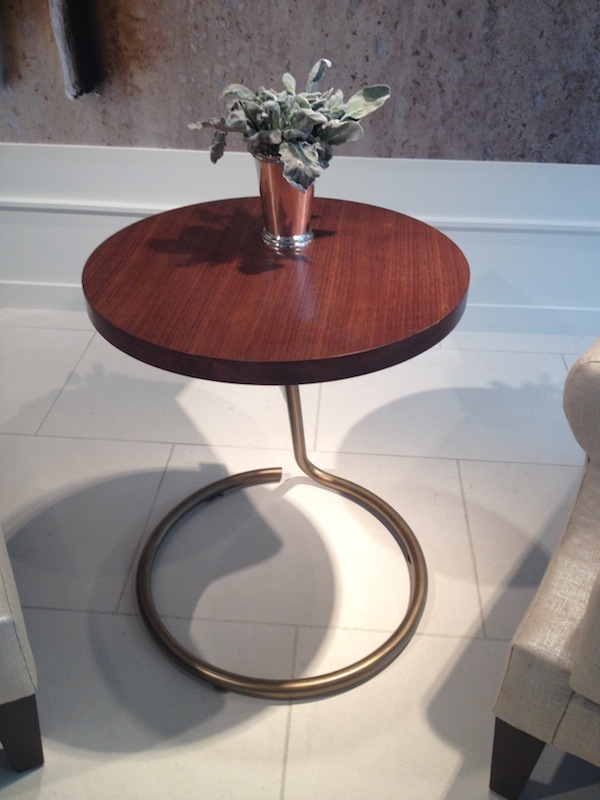 I love these little tables–looks like the trend is going back to traditional elements? I LOVE your picks, Stacey! It’s so nice seeing some alternatives to the ubiquitous garden stool. Everything has it’s own perfect little detail, a curved foot, a brass corner, and plenty of lines, like the Stack, Baker, and Pheasant tables.. So smart! Totally agree, such a trend I saw at High Point as well. 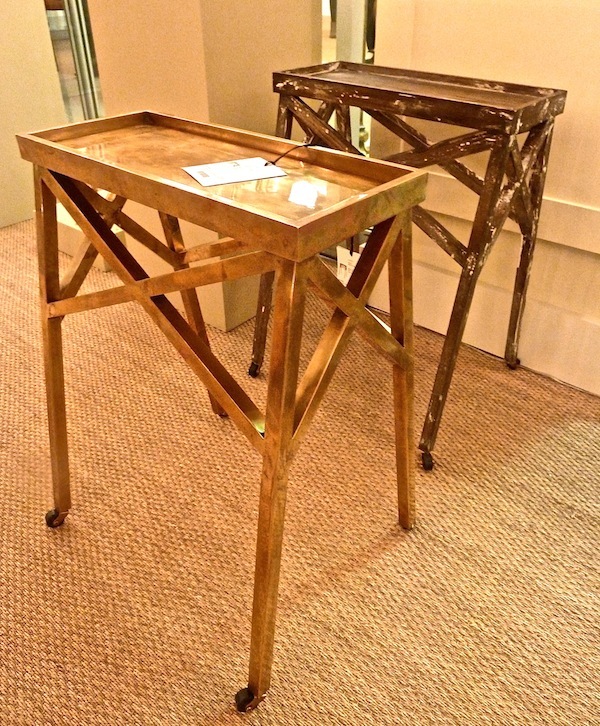 Loved the Pearson side tables!! 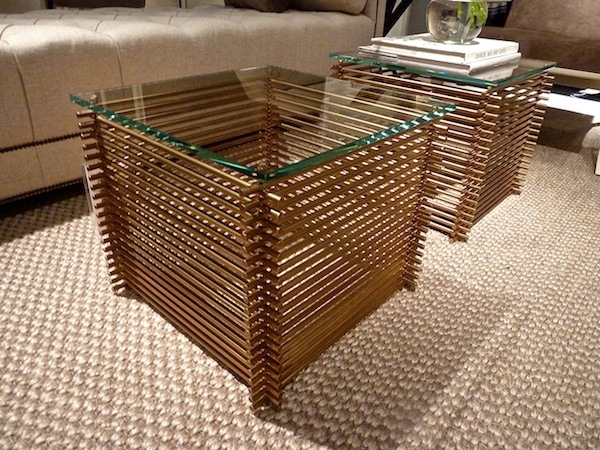 Thomas Pheasant’s Stack table was one of my favorites at Market! So graphic! 79 queries in 0.533 seconds.